Today we answer some of the Comet ISON questions you've posed on Facebook, Twitter and Google+. What do you need to know about ISON? Tell us and we'll try to find out. Where and when can I see Comet ISON? There it goes! Look! It’s right behind you! Driving the tan Kia! Never mind, you missed it. It was spectacular. So, we can’t tell you for sure yet. Despite everyone’s hopes, it’s entirely possible that Comet ISON will disintegrate when it approaches the Sun, or that it won’t be visible to the naked eye. For ISON to become a spectacle, it would have to survive its approach to the Sun and develop a long tail as it becomes exposed to the Sun’s heat. And there are a lot of factors that go into that, including the size and composition of the comet’s nucleus. So your view of ISON, if it survives “perihelion,” or its approach to the Sun, will depend on how bright it is and where it is located in the sky. It will have to be far enough from the Sun to be visible, because the glare of the Sun washes out dimmer objects. Late October is your first possible, maybe, sort-of chance for a glimpse of the comet. It may become visible, depending on how bright it is, in the morning before sunrise if you use binoculars or a telescope. Take a look then, because in late November it’ll become invisible again as it reaches perihelion — it’ll be too physically close to the Sun for you to view it. The last days of November and early December will be best for viewing if the comet survives its closest approach to the Sun on Nov. 28. The comet will appear in both the early morning and early evening in the Northern Hemisphere, but it will rise with the Sun in the southern hemisphere. After that, it’ll start fading fast. January still presents a possibility for viewing, but that’s very iffy. Look, we made you a picture! Need more info? Stuart Atkinson’s Waiting for ISON has lots of great information, and he’s made a series of images on where and when the comet will be in the sky. Where are all the pictures of Comet ISON? There actually aren’t a lot of images of ISON right now. Basically, ISON was discovered when it was extremely far away — so far away that you need a large telescope to see it. Since then, Hubble has taken some pictures, as has the Spitzer Space Telescope and Deep Impact. Then, ISON passed behind the Sun from our vantage point, and no one could see it. It re-emerged in late August, its reappearance captured by an amateur astronomer. It may seem strange that the professional astronomical community isn’t tracking ISON’s every move, but there really isn’t much point right now. ISON is too far away for scientists to glean much from observations. Hubble took pictures to try to determine the size of the nucleus. Spitzer studied its carbon dioxide emissions. But ISON’s most interesting behavior takes place when it nears the Sun. Not while it’s plowing onward through the vast emptiness of the solar system. Observing it frequently during this period doesn’t reveal much new information. It continues to be a blob of ice moving through space. We’ll only get new info when it draws close enough for us to get a better look, or it begins reacting to the Sun. 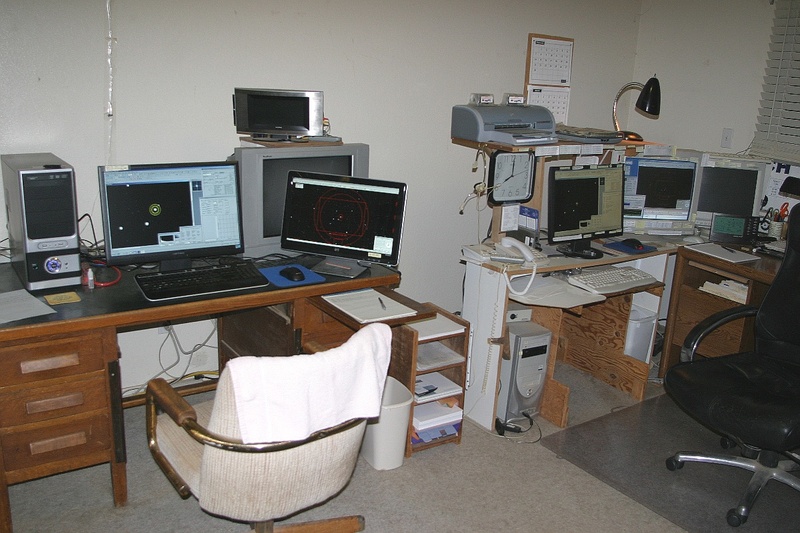 In the meantime, professional observatories have other things to do — a LOT of other things. Using a space telescope like Hubble, or a professional ground observatory, doesn’t mean glancing through a lens. There are so many astronomers who want to use these telescopes for research that they have to submit proposals on why they need to use the telescope. The proposals are reviewed by committees of scientists to decide who deserves to win time on the telescopes. On average, there are six times more proposals to use Hubble than there are proposals selected. There’s just not enough time for everyone to get a shot. Your scientific reason for receiving access needs to be compelling and convincing. So the short answer is, don’t expect a lot of images of ISON until it starts getting closer and doing something other than putter along. 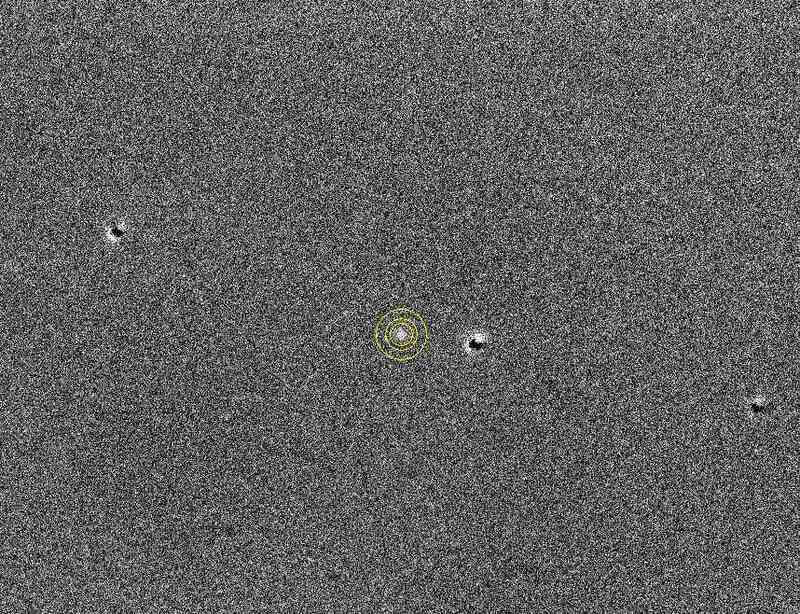 Why do amateur astronomers keep finding ISON? Huh? NASA? Huh?? HUH?? Mr. Gary, an amateur astronomer, was the first to see ISON re-emerge from behind the Sun. It was quite the feat — he found the comet earlier than many people suspected would be possible. Now meet Mr. Gary’s telescopes. He has a control room dedicated to them. Now let’s look at his resume. Before Mr. Gary retired, he led the Radio Astronomy Group at the Jet Propulsion Laboratory. He helped develop instruments flown on NASA aircraft. He constructed radiometric maps of the Moon. He holds four patents. He pioneered “calibration techniques (including "tip curves") for water vapor radiometers as well as in the optimum use of combined multi-frequency/multi-angle temperature profilers,” which is apparently a thing. Now that he’s retired, he studies exoplanets for fun. The question, to put it another way, is based on something of a misunderstanding of what an amateur astronomer is and the difference between amateur and professional astronomers. Professional astronomers perform astronomy as a career. That means they have to write grant proposals, research, get hired on as faculty, publish results in refereed journals, present results at professional meetings, and get paid for doing it. A lot of professional astronomers have no idea how to use the kind of telescope you would see in a normal setting, or even find objects they’ve been studying their entire careers in the night sky. It’s not part of the job. The job is poring over data and putting the pieces together. Amateur astronomers can be just as dedicated, but because they aren’t living off their work, they have the freedom to observe whatever they desire, whenever they desire. They don’t have the constraints that go with professional astronomy. They can specialize, and many do. They often work on teams with professional astronomers, belong to astronomy organizations, and win recognition for their efforts. Their reward is the challenge of the task and being able to contribute to the collection of knowledge about a cosmic object. Amateur and professional astronomy work complement each other. So a professional astronomer using Hubble will investigate the size of ISON’s nucleus, and an amateur astronomer working diligently and carefully in a private observatory in his yard will find ISON reappearing from behind the Sun. Not everyone has to be on the same task. Different telescopes, different priorities, different discoveries. Everyone wins. Oh, did we mention he has an asteroid named after him? This is the part where the amateur astronomy community, as a whole, drops the mic and walks away. Bruce Gary writes about finding Comet ISON here. We had an earlier story about the amateur astronomers who discovered ISON in the first place. NASA has a good list of amateur astronomy organizations. Got a question about Comet ISON? Ask us on Facebook, Twitter or Google+.